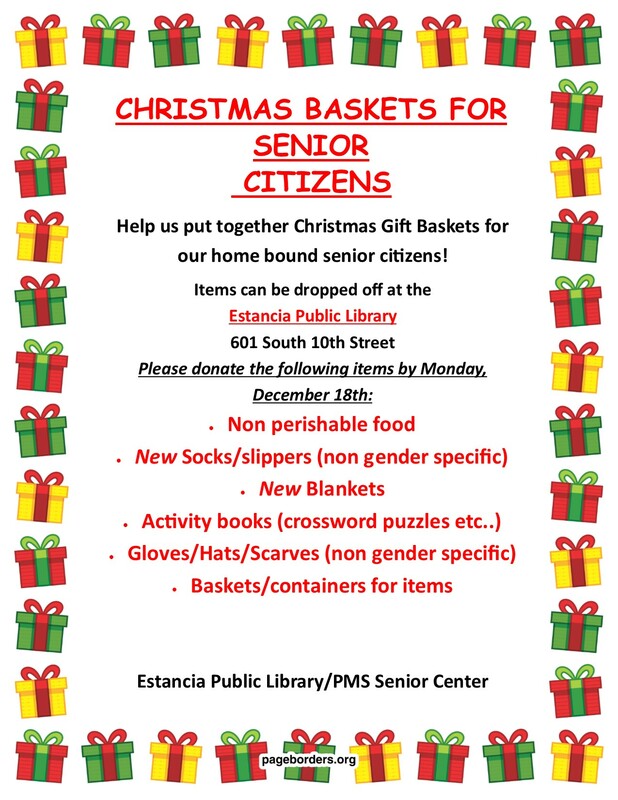 The Estancia Public Library put together gift baskets for Estancia area elderly shut-ins. 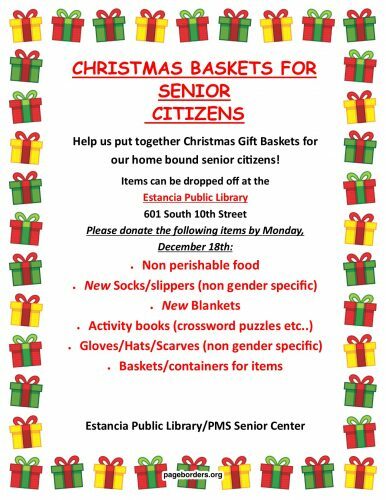 The community generously donated items such as hats, scarves, blankets, activity books and food items for the baskets. 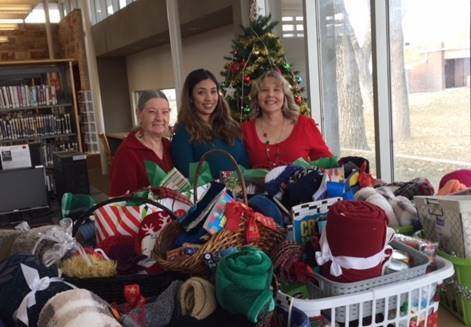 Barbara Spada, Ivonne Chavarria and Head Librarian Angela Creamer with 20 baskets for shut in senior citizens.